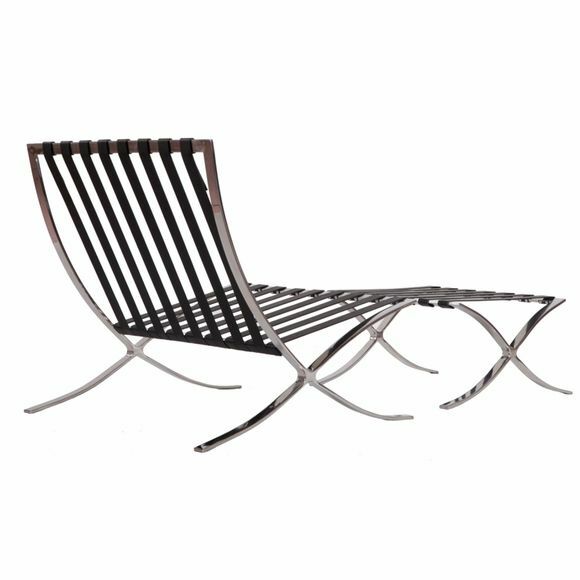 The Pavilion Chair is inspired by the designs originally created for the International Exhibition and it's Barcelona Style chair replica. 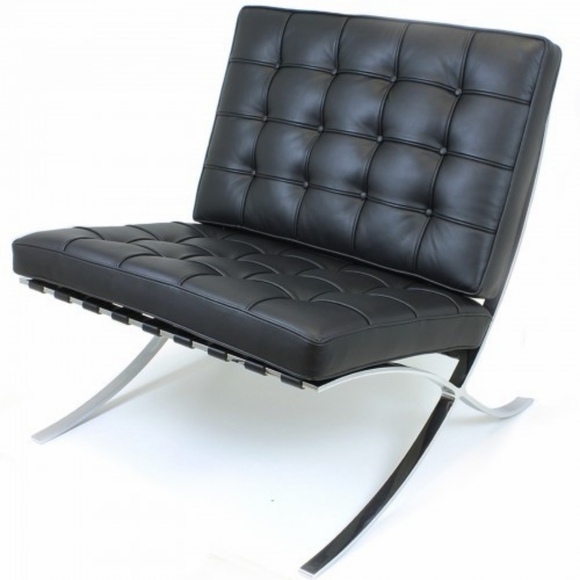 The chair features genuine leather seat and back cushions which adapt to fit the curve of the frame. 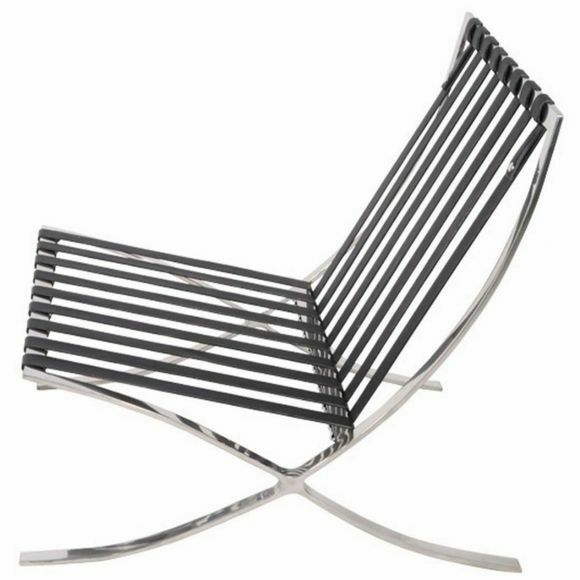 The stainless steel frame is welded in a single-piece construction for ultimate durability. 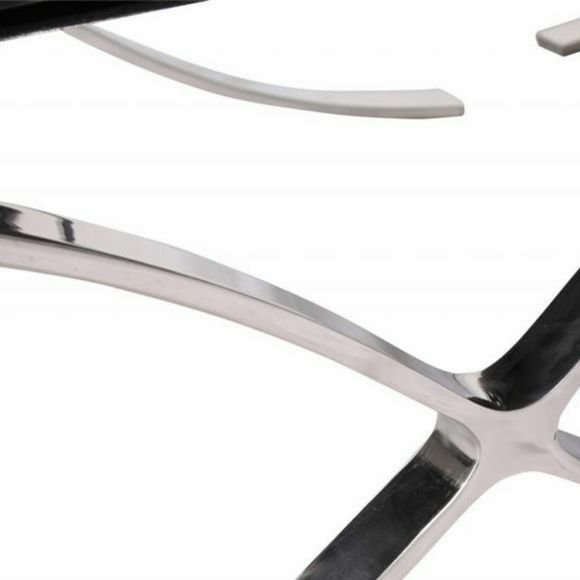 Stainless steel is hand-buffed to a mirror finish. 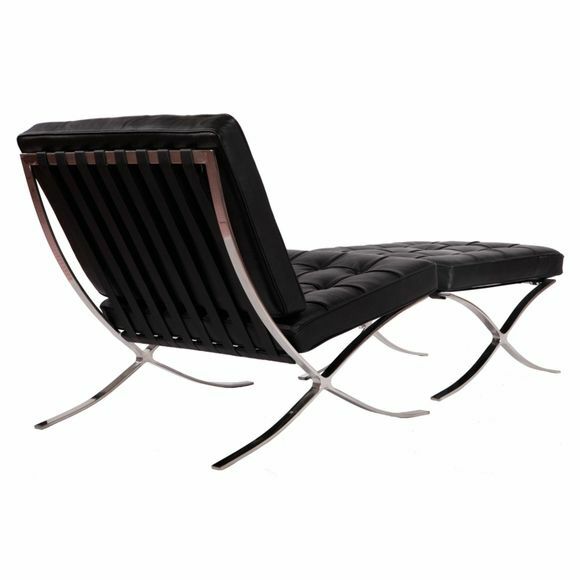 All piping on the chair is leather. 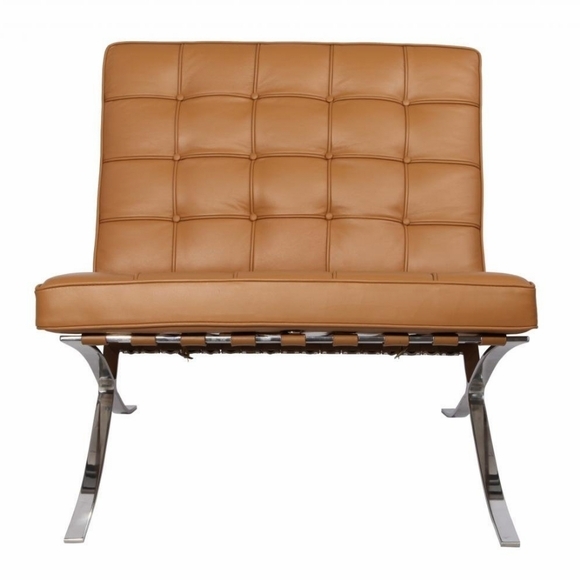 The leather itself is a high quality soft Italian Aniline leather. 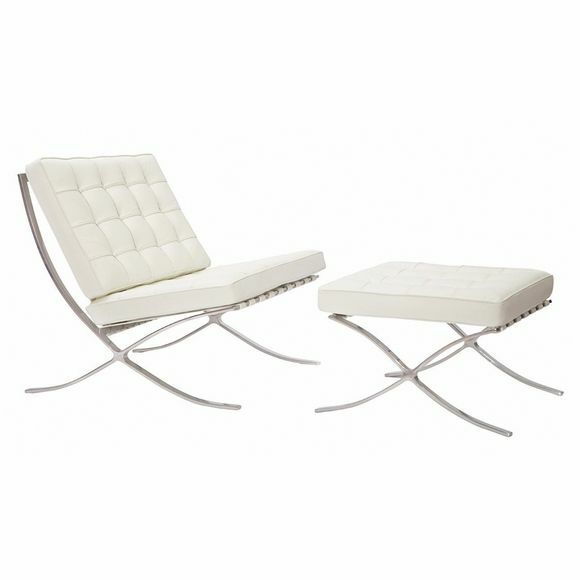 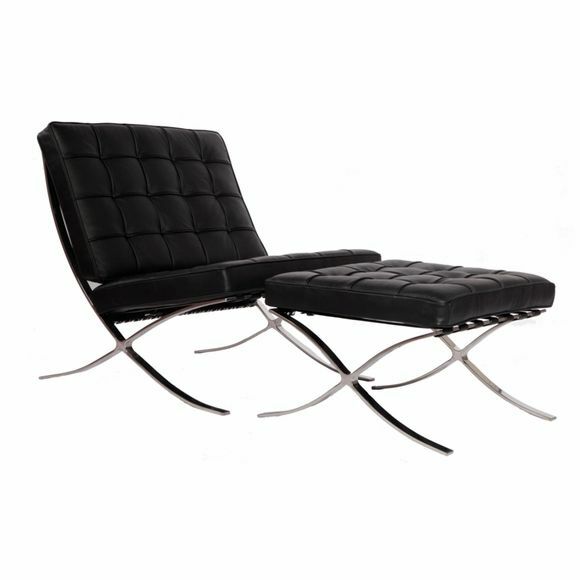 The polished steel frame of this Barcelona style chair is of a very high quality. 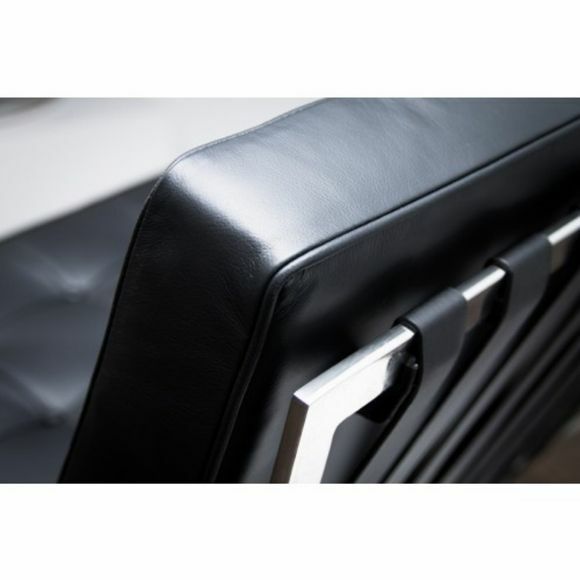 The cushions are made from a durable high density foam. 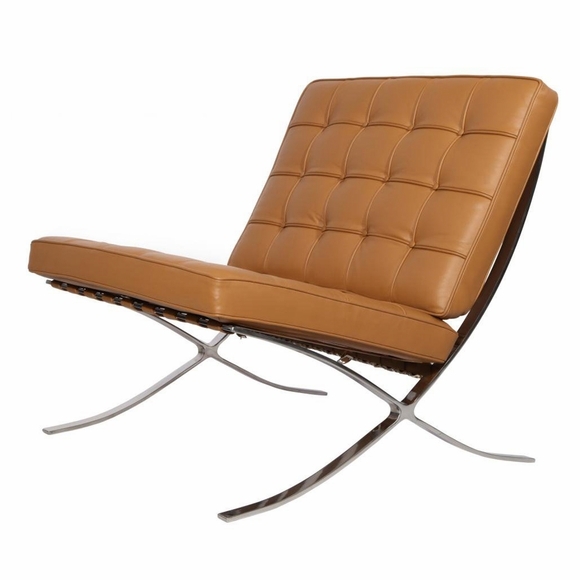 The supporting straps are made from a thick 100% Italian Aniline leather. 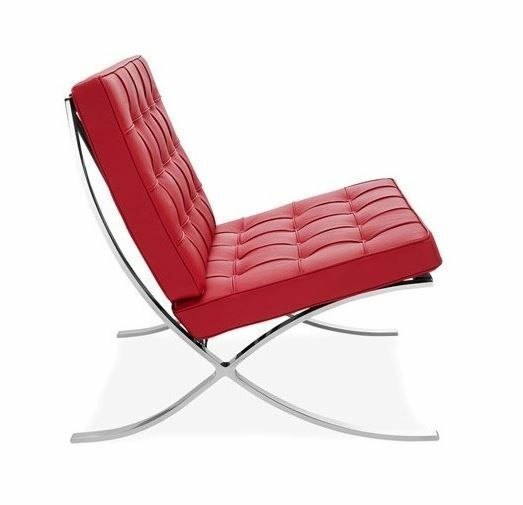 Highly polished stainless steel frame for a brilliant luster. 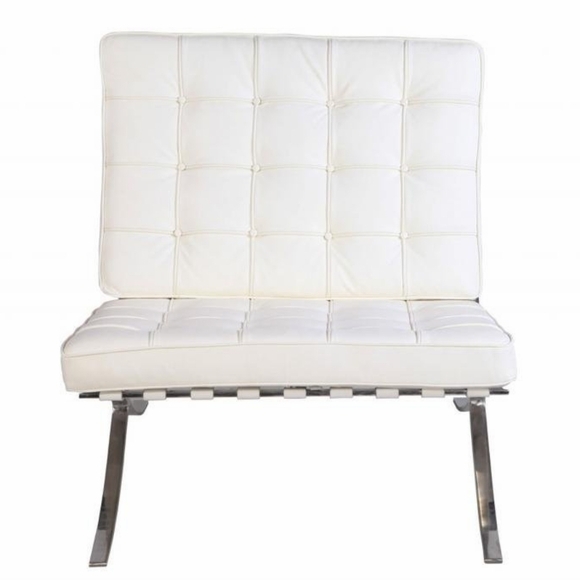 X-Frame is a single-piece construction for smooth clean lines - no bolts or screws.